The Higher Education Sustainability Initiative (HESI), a partnership between United Nations Department of Economic and Social Affairs, UNESCO, United Nations Environment, UN Global Compact’s Principles for Responsible Management Education (PRME) initiative, United Nations University (UNU), UN-HABITAT, UNCTAD and UNITAR, was created in 2012 in the run-up to the United Nations Conference on Sustainable Development (Rio+20). With commitments from over 300 universities from around the world, HESI accounted for more than one-third of all the voluntary commitments that were launched at Rio+20. Through its strong association with the United Nations, HESI provides higher education institutions with a unique interface between higher education, science, and policy making. Engage and share information with international networks. The Nagoya Declaration on Higher Education for Sustainable Development, adopted by the participants of the International Conference on Higher Education for Sustainable Development in Nagoya, Japan on 9 November 2014, reaffirms the responsibility of higher education for pursuing of sustainable development. The 2014 UNESCO World Conference on Education for Sustainable Development (ESD) marked the end of the UN Decade of ESD (2005-2014) and launched the Global Action Programme (GAP) on ESD. The conference took place from 10-12 November 2014 in Aichi-Nagoya, Japan. 8 months after Rio+20, during the 27th Session of UNEP’s Governing Council (Nairobi, Feb 20th), the Platform for Sustainability Performance in Education was launched as one of specific follow-up of the HESI. (http://www.sustainabilityperformance.org/). The Platform is a shared web-space showcasing the worlds HE sustainability assessment tools and has formal recognition and support from UNEP, UNGC, PRME and UNESCO. The Platform is a direct HE Education sector-led response to Rio+20 and it aims to be a key resource to help both signatories of the Higher Education for Sustainability Initiative (HESI) and other HEIs implement the Education paragraphs in ’The Future We Want’ document. The UNCSD 2012 (Rio+20) final text signed by 193 states confirms the importance of Education in building more sustainable societies and creating new paradigms. Chapters 229-235 highlight a number of actions that the institution should develop to fulfill its leadership role in the deployment of sustainable development. In addition, Article 47 encourages all stakeholders to “develop models for best practice and facilitate action for the integration of sustainability reporting”. This Platform rises to this challenge. The “Plan Vert” is a sustainable development strategy designed by university associations in France (Conférence des Grandes Ecoles and Conference of University Presidents), the French government and non-governmental organizations within the framework of the Grenelle Environment Roundtable. It consists of a framework of objectives and actions drawn from the European Sustainable Development Strategy and is designed to pilot and evaluate those actions. More than 100 “Grandes Ecoles” and universities used it in 2010. The Sustainability Tracking, Assessment & Rating System™ (STARS) is a transparent, self-reporting framework for colleges and universities to measure their sustainability performance. STARS® was developed by the Association for the Advancement of Sustainability in Higher Education with broad participation from the higher education community. Learning in Future Environments (LiFE) was developed in response to a growing need to embed social responsibility and sustainability into the activities of universities and colleges. Throughout the development of LiFE, the Environmental Association of Universities and Colleges has worked extensively with people and institutions from across the sector. This support has been crucial to develop a system that is relevant and beneficial to all types of institutions. AISHE, the Assessment Instrument for Sustainability in Higher Education, was developed and validated in the Netherlands in 2000-2001 by DHO, the Dutch Foundation for Sustainable Higher Education. With the help of AISHE results, universities or their departments can be awarded the ‘Certificate of Sustainable Higher Education', which is a star system, enabling universities to acquire 1, 2, 3 or 4 stars. AISHE can be applied freely by any university. (‘Publications section'). In Dutch only. The United Nations Environment Programme conducts Environmental Education and Training that promotes attitudes and value systems that influence environmentally ethical behaviour by developing understanding, skills and values that enable people to participate as active and informed citizens in the development of an ecologically sustainable and socially just society. Environmental Education is fundamental to the achievement of the goal of Sustainable Development. Education and training are essential to UNEP fulfilling its mandate of inspiring, informing and enabling nations and peoples to achieve sustainable development. UNEP's flagship initiative is the Global Universities Partnership on Environment and Sustainability,,which aims to promote the integration of environment and sustainability concerns into teaching, research, community engagement, the management of universities, greening of university infrastructure/facilities/operations, as well as to enhance student engagement and participation in sustainability activities both within and beyond universities. The UN Global Compact is a call to companies everywhere to voluntarily align their operations and strategies with ten universally-accepted principles in the areas of human rights, labour, environment and anti-corruption, and to take action in support of UN goals, including the Millennium Development Goals. The UN Global Compact is a multistakeholder leadership platform for the development, implementation and disclosure of responsible corporate policies and practices. Launched in 2000, it is the largest corporate responsibility initiative in the world, with over 10,000 signatories based in 140 countries. Higher education institutions are encouraged to participate in the UN Global Compact as deeply and meaningfully as the thousands of traditional corporate and organizational participants that have adopted its principles for over a decade. A working group of UN Global Compact academic stakeholders has developed guidelines for higher education institution to implement the principles in their goals, strategies, and operations. The mission of the UN-supported Principles for Responsible Management Education (PRME) initiative is to inspire and champion responsible management education, research and thought leadership globally. The PRME are inspired by internationally accepted values such as the principles of the United Nations Global Compact. They seek to establish a process of continuous improvement among institutions of management education in order to develop a new generation of business leaders capable of managing the complex challenges faced by business and society in the 21st century. In the current academic environment, corporate responsibility and sustainability have entered but not yet become embedded in the mainstream of business-related education. The PRME are therefore a timely global call for business schools and universities worldwide to gradually adapt their curricula, research, teaching methodologies and institutional strategies to the new business challenges and opportunities. Taking the Six Principles as a guiding framework, any institution which is willing to integrate corporate responsibility and sustainability in a gradual but systemic manner is welcome to join the initiative. The United Nations University implements research and educational programmes in the area of sustainable development, with the particular aim of assisting developing countries. Established in 1973 as “an international community of scholars, engaged in research, postgraduate training and dissemination of knowledge in furtherance of the purposes and principles of the Charter of the United Nations”, UNU operates through a worldwide nexus of institutes and programmes. UNU serves as a think tank for the United Nations system and provides a bridge between the UN and the international academic and policy-making communities. The 50+20 initiative describes a vision for the transformation of management education, in which the common tenet of being the best in the world is revised in favor of creating businesses that are designed and led to achieve the best for the world. Providing management education for the world, according to the 50+20 Agenda, involves three fundamental roles: educating and developing globally responsible leaders, enabling business organizations to serve the common good, and engaging in the transformation of business and the economy. A group of over 30 agencies, organisations and associations came together in 2012 to influence Rio + 20 dialogues. These stakeholders are rooted in different regions of the globe and actively engaged in sustainable development at the higher education level. The partnership, led by Copernicus Alliance with the support of UNU IAS and the International Association of Universities has generated a Higher Education Treaty for Rio+20. This Treaty is one of a series of People's Treaties developed to influence Rio+20 but also to make visible commitments across various sectors. The process of influencing higher education to reorient itself towards sustainability is complex and a long term commitment. Others engaged in, and with, higher education are invited to support this process by becoming signatories to the Treaty. The Treaty will remain open for signatories until the 31st August. Plans will then be developed in the autumn to progress, as well as showcase, efforts of signatories beyond 2012. Over 300 organizations have made commitments to the Higher Education Sustainability Initiative. Fashion Institute of Technology, State University of New York. The Higher Education Sustainability Initiative is supported by a range of international networks, national and regional organizations, and several student organizations. Association of International Education Administrators (AIEA) works by bringing international education leaders into dialogue with each other, their counterparts around the world, umbrella organizations that promote international education, and organizations concerned with the shaping and management of higher education. CEEMANis an international management development association established in 1993 with the aim of accelerating the growth in quality of management development in central and eastern Europe. CEEMAN is a global network of management development institutions focusing on the quality of education and innovations within the field, as well as in the broad area of subjects related to change. CEEMAN has more than 200 institutional and individual members from 51 countries in Europe, North America, Latin America and Asia. CNRD is an international university network on research and education related to the Millennium Development Goal 7 (MDG 7). Currently the network consists of 11 partner universities in Latin America, Africa, the Middle East, Asia, and Europe. CNRD is funded by the German Federal Ministry for Economic Cooperation and Development and managed by the German Academic Exchange Service (DAAD). Its focal point is Cologne University of Applied Sciences. 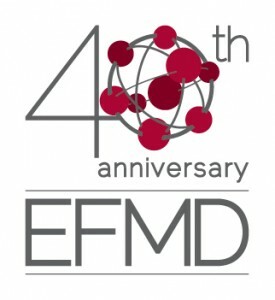 EFMD is an international membership organization, based in Brussels, Belgium. With more than 760 member organizations from academia, business, public service and consultancy in 82 countries, EFMD provides a unique forum for information, research, networking and debate on innovation and best practice in management development. EFMD runs the EQUIS, EPAS, CEL & CLIP accreditation systems as well as the Deans Across Frontiers business school mentoring programme (DAF) and is one of the key reference points for management education worldwide. Since its inception EFMD has been pioneering initiatives related to responsible management . The Foundation for Environmental Education is a non-government, non-profit organisation promoting sustainable development through environmental education. FEE is mainly active through its five environmental education programmes: Blue Flag, Eco-Schools, Young Reporters for the Environment, Learning about Forests and Green Key. GRLI: The Globally Responsible Leadership Initiative is a worldwide partnership of companies and business schools/learning organisations working together in a laboratory of change to develop a next generation of globally responsible leaders. The GRLI engages in thought leadership, advocacy and projects to achieve measurable impact. Founded in 2004 by the European Foundation for Management Development and the UN Global Compact, today it comprises 70 partner (member) organisations who are committed to transforming leadership development. It is a member organization, a foundation, an advanced laboratory and a movement. MEDIES (Mediteranean Region): Mediteranean Education Initiative for Environment and Sustainability aims to support the educational community in its efforts to contribute to the implementation of Agenda 21, the Millennium Development Goals (MDGs), as well as the UN Decade of Education for Sustainable Development (2005-2014), through the successful application of innovative educational programmes in all countries around the Mediterranean basin. 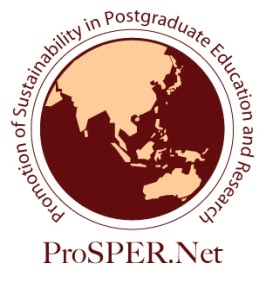 ProSPER.Net (Promotion of Sustainability in Postgraduate Education and Research Network)is an alliance of higher education institutions launched in June 2008, formed by leading universities in the Asia-Pacific region. ProSPER.Net was created in recognition of the need to advance and disseminate knowledge and research for sustainable development within a systematic and collaborative platform. By engaging with other members within this framework, opportunities for synergies and collaboration in terms of building upon members' strengths, exchanging good practices and expertise in joint projects are enhanced. Collaborative projects in various fields have been carried out since the network was founded, comprising design and delivery of an e-learning programme on sustainable development practice in public policy, integration of sustainability issues in business school and engineering and built environment curricula, faculty training module and resource materials for sustainability, researchers' school in sustainable development, research on innovative pedagogies applied in regional poverty reduction programmes and alternative university appraisal project, that aims to reflect and create tools for universities' evaluation as regards their activities in ESD. SENAI has been based on meeting the needs of the industrial production process, with courses and programs for vocational education, aiming at high levels of professional qualification of workers, as well as the formation of creative and enterprising citizens. We reinforce our goal of promoting education for a generation of workers and managers capable of promoting sustainability today and over the long term. Our pedagogical practice will be guided by the goal of forming autonomous learners, who have initiative, pro-activity and ability to solve problems. Thus, educating professionals capable of conducting self-training and improvement as well as the resources and environment sustainability. 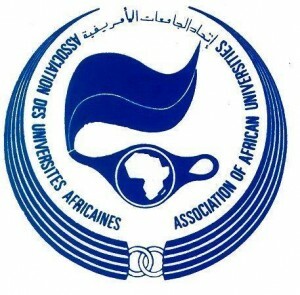 The Association of African Universities (AAU) is an international non-governmental organisation founded in Rabat, Morocco in November 1967 having its headquarters in Accra, Ghana. The Association draws its membership from all five sub-regions of Africa and operates in three official languages, namely English, French and Arabic. Over the years, membership has grown from an initial 34 to 265 members from 46 African countries. It is accorded observer status by the African Union (AU), the United Nations Educational, Scientific and Cultural Organisation (UNESCO) and the United Nations University (UNU). A major development in recent years is that the AAU has been designated the lead implementing agency for the higher education component of the Action Plan for the Second Decade of Education of the African Union. The Association of MBAs is the international impartial authority on postgraduate business education. Established in 1967, it sets the global standard for accrediting MBA, DBA and MBM programmes. The Association currently accredits MBA provisions in 189 schools in more than 75 countries. It is also a professional membership association connecting MBA students and graduates, accredited business schools and MBA employers. The Association of MBAs is committed to the advancement of responsible management through postgraduate business education. The Association of University Leaders for a Sustainable Future (ULSF) is the Secretariat for signatories of the Talloires Declaration (1990), which has been signed by over 400 college and university presidents and chancellors worldwide. ULSF provides resources and support for sustainability as a critical focus of teaching, research, operations and outreach in higher education through publications, research, and assessment. The COPERNICUS Alliance is a European network of Universities and partners which promotes transformative learning and change for sustainability across the higher education sector. The COPERNICUS Alliance promotes learning through dialogue and exchange opportunities; encourages the development of publications and resources; collects and shares best practice; provides opportunities for collaborative research; and reviews assessment tools to assist organisations in their journeys towards sustainability. The International Association of Universities (IAU), founded in 1950, is a UNESCO-based worldwide association of higher education institutions. The Association brings together HEIs and higher education organizations and associations from some 120 countries from around the world for reflection and action on common concerns. Its services are available on a priority basis to Members but also to organizations, institutions and authorities concerned with higher education, as well as to individual policy and decision-makers, specialists, administrators, teachers, researchers and students. The three overarching clusters the Association works on are: I. Internationalisation, globalisation, cross-border higher education, and intercultural learning and dialogue; II. Access to higher education, including growing demand for enrolment and decreased funding, use of ICTs, distance education and the opportunities brought on by innovations such as the Open Content movement; III. Higher education and society (including higher education for sustainable development, the role of higher education in meeting the UN Education for All programme goals, etc.). UNITWIN: The University Twinning and Networking Programme, established in 1992, seeks to advance research, training and programme development in all of UNESCO's fields of competence by building university networks and encouraging inter-university cooperation through the transfer of knowledge across borders. 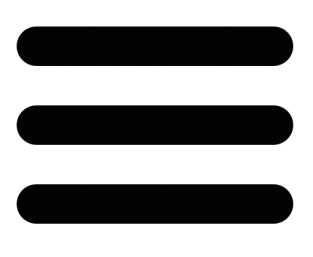 World Business School Council for Sustainable Business (WBSCSB): WBSCSB is a sustainability think-tank and platform of action for business schools to contribute making business sustainable through their research, education and engagement. Founded at the 2010 annual conference of the Academy of Management in Montreal, a small group of concerned deans and professors took a first step to create the World Business School Council for Sustainable Business (WBSCSB). Core areas of activities include: leading research addressing pressing sustainability issues and education embracing sustainability as a function of business. The African Network of Scientific and Technological Institutions was established in 1980 and its mission is to facilitate the active collaboration among African scientific institutions for the purpose of training and research in science, engineering and technology. CGE (France): The Conférence des Grandes Ecoles is a non-profit organization dedicated to support higher education institutions through joint activities, accreditation of educational programs and promotional activities in France and abroad. CGE members are mainly engineering, management and other specialized schools (215), plus companies (16) and non-profit organizations (46). Campus Responsables (Sustainable Campus) (France) : It was launched in 2006 to encourage students and estates/administration staff of French colleges and universities to embed the sustainability into the campus management and curriculum. The Network counts 40 campus members in January 2012. Campus Responsables support the campuses by giving them the tools to share good practices, to innovate on tackling new green challenges, to communicate on their commitment especially through the Sustainable Campus Guide we publish regularly. The Conference of University Presidents (CPU - France), as defined in the « Freedoms and responsibilities of the universities » Act of August 10, 2007, is an association with recognized public benefit (117 members). It represents the common interests of institutions of higher learning. 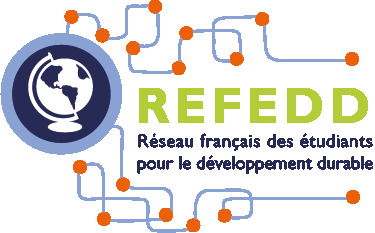 French universities have set up a Sustainable Development Committee within the framework of the CPU, in order to identify shared needs, to find answers through partnerships with the socio-economic world, and to share initiatives and tools. The Environmental Association for Universities and Colleges (EAUC) is a not-for-profit charity with a membership of over 300 universities and colleges, supporting sustainability within the UK tertiary education sector. The EAUC is THE sustainability champion for universities and colleges in the UK. Run by members, for its members, the EAUC seeks to drive sustainability to the heart of further and higher education. With a Membership of over 320 colleges and universities from across the UK, the EAUC is now the recognised hub of sustainability best practice in the sector. The EAUC provides strong alliance of Further and Higher Education Institutions, sector bodies and commercial organisations, working together both in the UK and internationally. With links to similar bodies in North America, Australasia, Spain and South Korea amongst others, the EAUC is working on a global scale to raise the profile of sustainability in the tertiary education sector. ASPUnivNet is a network of universities that support activities at UNESCO Associated Schools as their partners. It was established in 2008 jointly by the Ministry of Education, Culture, Sports, Science and Technology (MEXT) and the Japanese National Commission for UNESCO (JNCU). EcoLeaD (Japan): Environmental Consortium for Leadership Development (EcoLeaD) is an academia-industry-government-NGO/NPO consortium with 24 international partners in Asia Pacific. It was launched by the Ministry of the Environment, Japan as part of the Environmental Leadership Initiatives for Asian Sustainability (ELIAS) in 2009. EcoLeaD works as a multi-stakeholder platform to run projects in four major areas: (1) developing environmental education program guidelines and certification systems for higher education and industry; (2) holding seminars and symposia to introduce and discuss innovative approaches in environmental education and environmental business; (3) building information infrastructure including a database of environmental education programs in higher education; and (4) promoting international cooperation for constructing sustainable society. 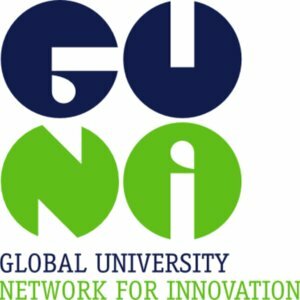 The Global University Network for Innovation in Asia and the Pacific aims to improve higher education in that region through the application of the UNESCO decisions on higher education taken at the World Conference on Higher Education in 1998. The Australasian Campuses Towards Sustainability is a non-profit member based organisation representing higher and further education institutions within Australia and New Zealand. ACTS aims to inspire, promote and support change towards best practice sustainability within the operations, curriculum and research of the tertiary education sector. ACTS seeks to build community and business partnerships at the local, regional and international level, in order to bring together a network of people for positive engagement, capacity building and change. The Centre for Environment Education (CEE) is a Centre of Excellence in Environmental Education and Education for Sustainable Development (ESD) supported by the Ministry of Environment and Forest, Government of India. CEE is the nodal agency for implementation of Decade of Education for Sustainable Development in India and has been engaged in ESD with a variety of higher education institutions within and outside India, for over two decades. CEE also co-ordinates six Regional Centres of Expertise (RCE) under the Global RCE initiative of the UNU-IAS. CEE is the Secretariat of the South Asia Youth Environment Network (SAYEN) supported by the UNEP Regional Office, Asia and the Pacific which engages youth in the environmental activities. Universities Australia (Australia): Universities Australia is the peak body representing Australia's universities. Its broad commitment is to ensure Australia's reputation as a highly innovative and educated nation. Universities Australia's role is to promote the social, economic, environmental and cultural value of higher education through its relationships with governments, industry, the professions and the wider community, both nationally and internationally. Universities Australia is an active player in the determination and formulation of public policy, advocating on behalf of Australia's universities. AACC (US): The American Association of Community Colleges is the leading national organization representing close to 1,200 community, junior and technical colleges and their more than 13 million students. Headquartered in Washington, D.C., AACC advocates for the colleges and their interests in Congress, with federal agencies and the White House, and with a broad array of businesses, organizations and the news media. AACC's sustainability efforts are largely focused through its Sustainability, Education and Economic Development initiative, which supports the colleges in their efforts to expand green job training opportunities and innovation. AGB (US): The Association of Governing Boards of Universities and Colleges is the only national association that serves the interests and needs of academic governing boards, boards of institutionally related foundations, campus CEOs and other senior-level campus administrators on issues related to higher education governance and leadership. Its mission is to strengthen, protect, and advocate on behalf of citizen trusteeship that supports and advances higher education. HACU (US) : The Hispanic Association of Colleges and Universities was established in 1986 with a founding membership of 18 institutions. Today, HACU represents more than 400 colleges and universities committed to Hispanic higher education success in the U.S., Puerto Rico, Latin America, Spain and Portugal. HACU is an association representing existing and emerging Hispanic-Serving Institutions. The Global Institute for Management of Sustainability (IGS) is a non-profit institute based in Belo Horizonte, Minas Gerais State, Brazil, devoted to promoting corporate social responsibility in Brazil, Latin America and other regions. Established in 2015, the institute builds on over 10 years of experience with the Minas Gerais Environmental Management Award (Premio Mineiro de Gestao Ambiental - PMGA) which relies on a complex methodology for evaluating the sustainability performance of corporations based on environmental, economic, social and cultural criteria to grant annual awards to the best performing corporations in terms of corporate social responsibility as measured by the criteria. PMGA has trained evaluators over 10 years in the application of this methodology. IGS seeks to develop this methodology further and apply it in other states of Brazil, other countries of Latin America and other regions with a view to promoting the practice of corporate social responsiblity. FSNSD (French Student Network for Sustainable Development): Created in 2007. In 2012, 90 students associations (situated in universities, business and engineering schools) are members of the network, that is to say 4500 students from all over the French territory working towards sustainable development in their campuses. More information : www.refedd.org. For an example of our work, you can have a look at the report “10 000 young people to imagine a more sustainable higher”. SENSD, the Students' European Network for Sustainable Development, is a network that aims to gather European students together to promote sustainable development, by exchanging knowledge and information. 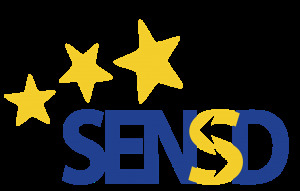 By networking European students concerned with sustainable development, SENSD promotes a new generation of students aimed at constructing a cooperative, fair and environmentally friendly Europe. The World Student Community for Sustainable Development (WSCSD) is a non-profit international student organization committed to addressing the issues of sustainable development. WSCSD is comprised of students and organizations within universities in more than 100 countries from all the 5 continents. Since its inception in 2002, WSCSD has provided a platform for multidisciplinary and cross-border student collaboration on research and community development projects. The Higher Education Sustainability Initiative (HESI) for Rio+20 was initiated in 2012 by a group of UN partners (the Executive Coordinator of Rio+20, UN DESA, UNEP, UNESCO, UN Global Compact, UN Global Compact's Principles for Responsible Management Education (PRME) and UNU) as an unprompted initiative for Higher Education Institutions (HEI) in the run-up to the Rio+20 Conference. Since HEIs educate current and future decision makers, they play a key role in building more sustainable societies and creating new paradigms. As educational institutions, they have the mission to promote development through both research and teaching, disseminating new knowledge and insight to their students and building their capabilities. Given the objectives of Rio+20, HESI has a special responsibility to provide leadership on education for sustainable development. 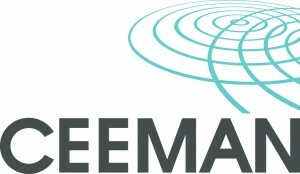 Since the inception of the HESI initiative it has been driven by all HESI partner organizations with special input from Global Compact and PRME signatory HEIs, in particular Kedge Business School (former Euromed Marseille School of Management), which has made significant contributions in the organization of this initiative. A total of 272 organizations in 47 countries have made commitments to the HESI as of June 2013. These commitments represent organizations from a diverse range of countries including both public and private HEIs from all six UN regions. Many of these organizations are also affiliated to other UN initiatives, such as the Global Universities Partnership on Environment and Sustainability (GUPES) and around two-thirds of the organizations are signatories to the UN Global Compact or PRME. Commitments by the HEIs generally include a commitment to reporting in order to provide transparency to the implementation of the particular sustainable development commitment. Many institutions have also committed to plans for sustainable development in specific areas, e.g. the ESADE Foundation has committed to implement a strategic CSR plan from 2011-2014 that minimizes the carbon footprint on campus, while Cairo University has committed to include environmental studies in the curricula of undergraduate and postgraduate studies, amongst others. 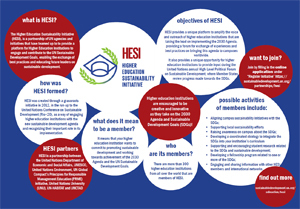 Since HESI was established as an ad hoc initiative by several UN organizations and external stakeholders, this action network relies on a more informal organizational structure, typical of a network of stakeholders rather than a top-bottom organization. Therefore, although the organizational capacity to implement the network goals is rather limited and thus a bit challenging, it can also be seen as a strength. HESI partners are able to leverage the existing capacities in the individual partner entities. In this regard, the action network has been able to attract many commitments through their own network of partners and signatories and is able to draw on existing reporting structures for these commitments. For example, commitments made by PRME signatories can use their Sharing Information on Progress (SIP) reports to the PRME initiative as a way to deliver on their commitments. Reporting systems already in place therefore ease and strengthen the accountability of the action network. This includes the input solicited from stakeholders and actors for the final report on the UN Decade of Education for Sustainable Development, which UNESCO is preparing for publication in 2014. Another tangible example of progress in support of HESI commitments was the launch of a Platform for Sustainable Performance in Education on the margins of the UNEP Governing Council in February 2013. The Platform includes an array of sustainability assessment tools to support HEIs in adopting strategic approaches to implement and monitor their sustainability commitments. Higher Education should play a key role in building a sustainable future by providing current and future decision-makers with sufficient knowledge, skills and mindsets to make informed and effective decisions to this end. Sulitest (Sustainability Literacy Tools and Community) is an online platform developing training and assessment tools to improve sustainability literacy for all and to provide tangible indicators to monitor this journey. In only a few years, the Sulitest has grown into a learning tool of reference. It is widely used by almost 700 HEIs and organizations in 61 countries and almost 80,000 candidates have already taken the Sulitest. Building on its community, Sulitest is developing a diversity of modules to provide internationally recognized and locally relevant tools aligned with the framework of the Sustainable Development Goals (SDGs). Sulitest is a tangible implementation of HESI and a contributor to the review of the 2030 Agenda through the High-Level Political Forum ( HLPF). Each Sulitest question is aligned with one or more SDG in order to create the largest database on citizens’ awareness and understanding of the goals. An annual report highlights these indicators to map awareness of the SDGs and to monitor progress. Download the 2017 Sulitest HLPF Report here. In addition, complementary modules are supporting the learning journey toward the SDGs. In 2017, UN DESA launched a first module on the SDGs framework and processes to empower citizens to contribute to the global agenda. More than 1600 candidates have already taken this module in 2017 and several UN agencies are collaborating with Sulitest to develop additional modules specific to each of the 17 SDGs. To use this module, sign-up your organization here (or use your existing account) and choose the “UN DESA SDGs Module” among the specialized modules of the Sulitest.